In Indonesia, devil rays are currently caught in targeted and bycatch fisheries. Monitoring landings, providing recommendations and training to governmental institutions is hence crucial to make informed management decisions. The Mobula Project Indonesia aims to support conservation at a national level, by providing biological and ecological information, whilst also raising stakeholder awareness and exploring solutions to reduce devil ray fisheries. Decreasing fish stocks and advances in technology have increased the exploitation of resources further into the pelagic realm and towards deeper ecosystems, resulting in an overlap with the habitat of many elasmobranch species (shark, rays and skates). As a result, an alarming number of elasmobranchs are at increasing risk of overfishing, whilst declines in shark and ray landings are becoming common. However, species-specific data on shark and ray landings are often limited in remote areas. In Indonesia, sharks and rays are heavily caught in target and bycatch fisheries. The management of elasmobranch fisheries has become an urgent endeavor worldwide given that elasmobranch stocks are rapidly declining, and the potential cascading effects for fishing communities and the entire ecosystem. Of particular interest to our project are mobulid rays (mantas and devil rays). They are caught in targeted and bycatch fisheries across Indonesia, mainly for the export of their gill plates as a product in the ‘traditional’ Chinese Medicine and dried seafood markets. The exportation of mobulid parts (primarily gills) from Indonesia and other countries poses threats for population sustainability. Mobulid gills originating from Indonesia represents an important proportion of the trade in the Chinese market. Monitoring landings, providing recommendations and training to governmental institutions is crucial to making informed management decisions. Finding alternatives to reduce catches whilst gaining insight into the socio-economy of the fishery is also necessary. The Mobula Project Indonesia works with Indonesian students and graduates, local fishing communities, and local scientists to primarily study devil rays at key aggregation and landing sites in Indonesia. 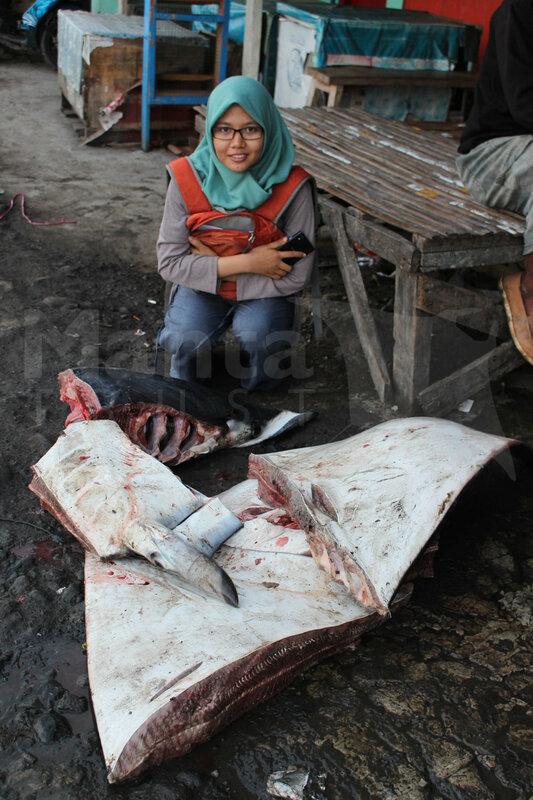 Through fishing market surveys and interviews, the project aims to provide urgently needed information on devil ray fisheries in Indonesia. We strive to support conservation at a national level, by providing biological and ecological information, whilst raising stakeholder awareness and exploring solutions to reduce devil ray fisheries. To reduce devil ray fisheries in Indonesia by developing a thorough understanding of this threat, and by helping communities and the government identify and transition to more sustainable livelihoods. (1) Monitor species-specific abundance of elasmobranchs at key fishing markets. (2) Provide a preliminary age and growth study for devil rays. (3) Study the feeding ecology and habitat use of devil rays. (4) Identify means to reduce target and bycatch of devil rays. (5) Raise awareness at a local and national level to improve management. (6) Provide management recommendations and training to governmental stakeholders. (7) Provide training to Indonesian students through internship positions. Betty grew up in France and moved to Australia to complete the last year of her B.Sc. She further integrated the Erasmus Mundus international M.Sc. in marine biodiversity and conservation (EMBC). During an internship in Peru in 2012 to monitor manta ray landings, Betty witnessed the extensive fishery directed at their close relatives, the devil rays. Finding sparse information on these smaller relatives, she set a goal to contribute to finding out more about their biology and ecology in order to encourage their conservation. Fisheries seemed like a good place to gain such information while engaging with local communities. Since extensive fisheries were taking place in Southeast Asia, Betty founded The Mobula Project Indonesia in 2015 to work alongside local students monitoring mobulid landings, whilst engaging with the fishing community, mainly in Muncar, Eastern Java. Through this work, important biological and ecological information is being provided to stakeholders at a national and regional level to initiate and inform management measures. 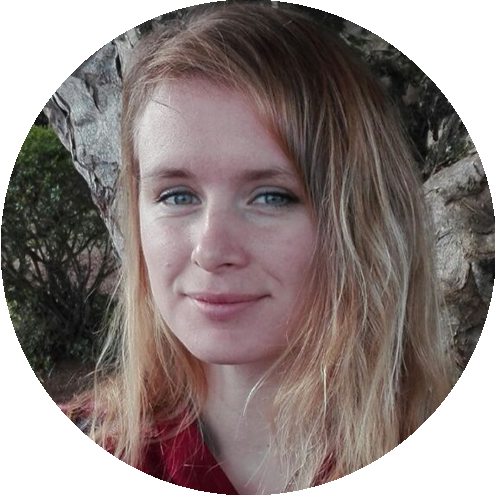 Betty is currently a PhD student at the University of the Azores (Portugal) in collaboration with the University of Queensland (Australia) studying the feeding ecology and sensory biology of mobulid rays. This information is needed to better understand overlap with fisheries and to help bycatch reduction efforts. Sign up to our mailing list for updates about our work and ways to support us. The Manta Trust is a registered charity in England & Wales (Charity Number 1145387). Images and information © 2018 The Manta Trust unless otherwise stated. All Rights Reserved.